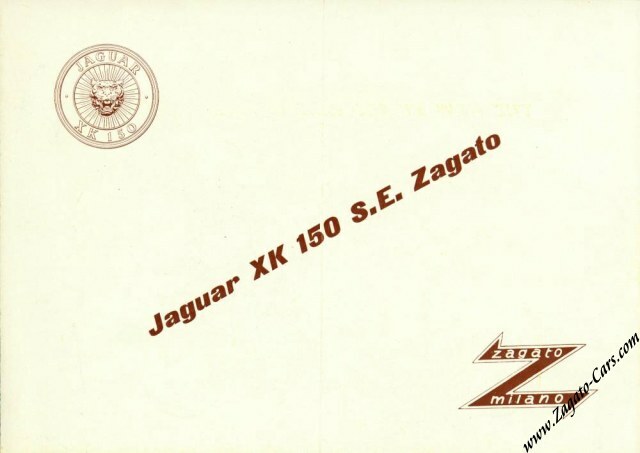 In 1958, the first XK150 example by Zagato was presented at the Geneva Auto Show. 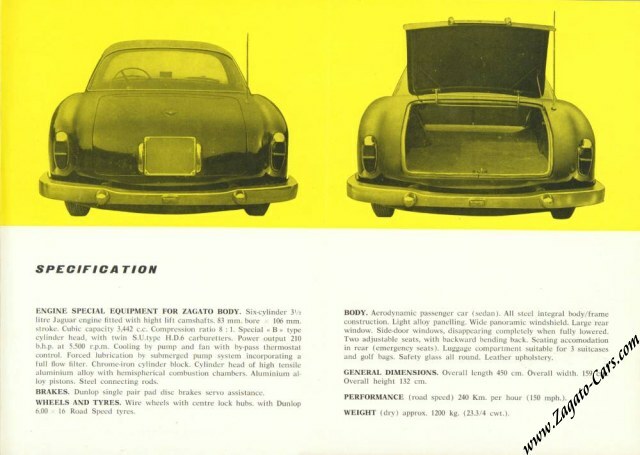 A brochure was printed, which indicates that they indeed intended to produce this car more than once, but it never came to a series production. 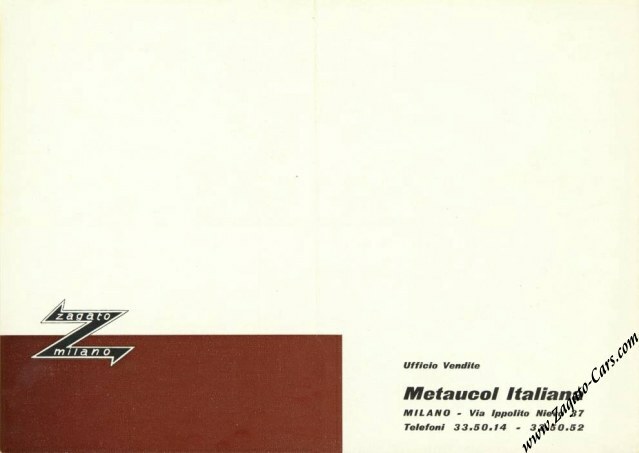 The brochure listed Metaucol Italiana in Milano, Italy, as sales organization. There is remarkably little known about this company which seems to have been founded right after the end of WorldWar II. 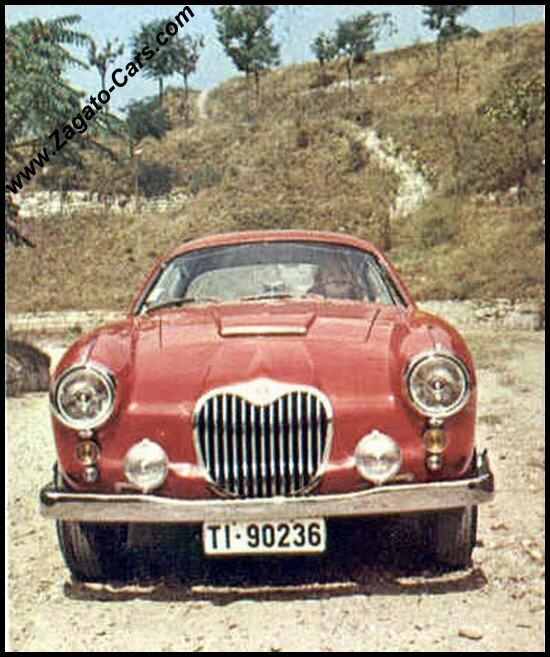 There are 1958 photos of a red XK150 S.E. with Swiss license-plate (Ticino 90236). 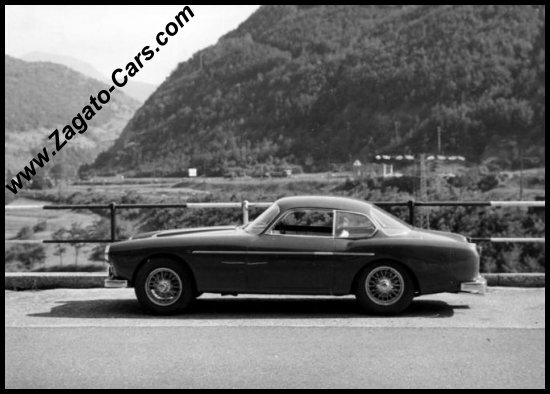 This car is a clear evolution of the earlier XK140 by Zagato. 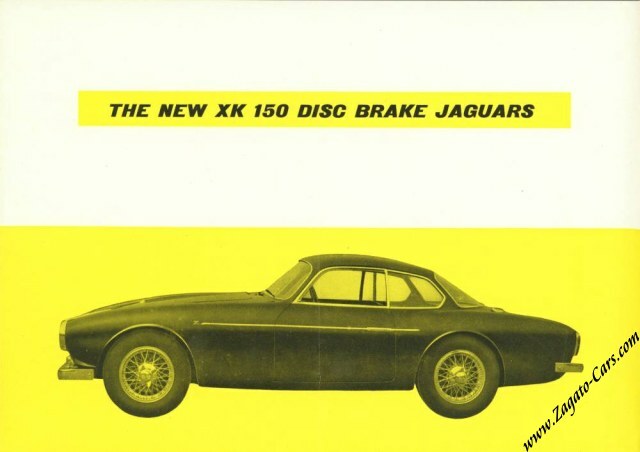 Or is it indeed an XK140? 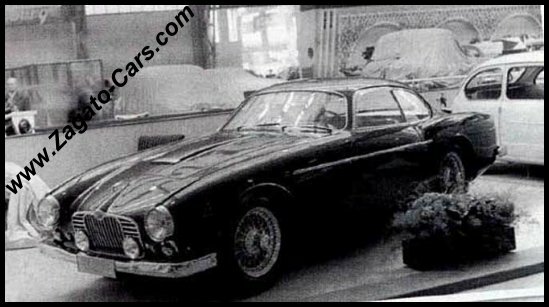 This car is considered lost but could also very well have been modified end evolved again into the last incarnation of the XK150 Zagato. 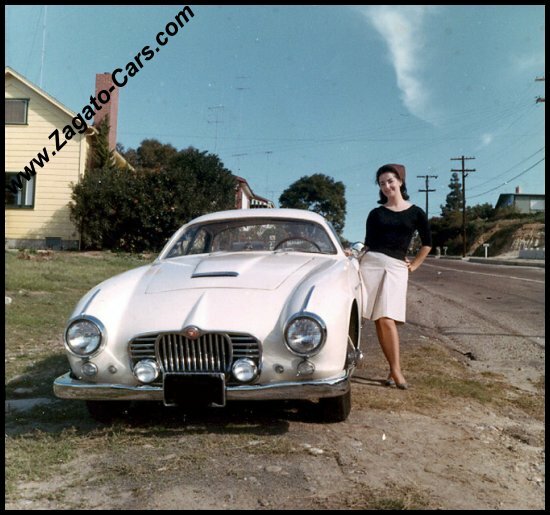 This last incarnation of the Jaguar XK Zagato was shown in 1960, now painted black again with a different front-end and different bumpers and based on Jaguar XK150 S.E. S/N S834369. In the mid-1960's, the car was painted beige by now, this car was apparently acquired by an American gentleman. The car was later painted White and finally Mustard Yellow. Apparently, the car has been dismantled but still owned by the same family.